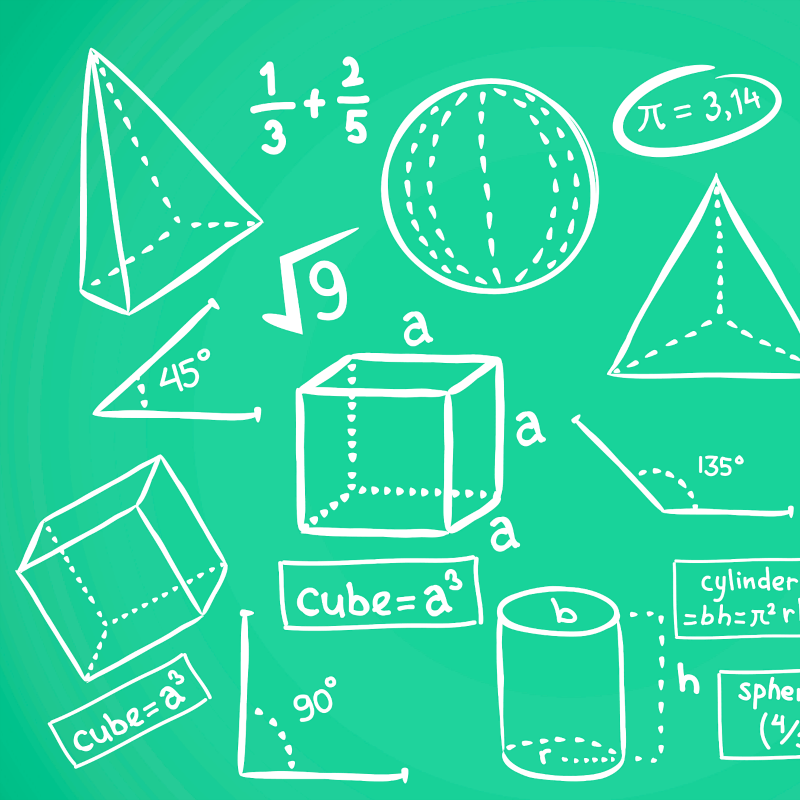 What does STEM really mean and does hands-on math belong in STEM category? 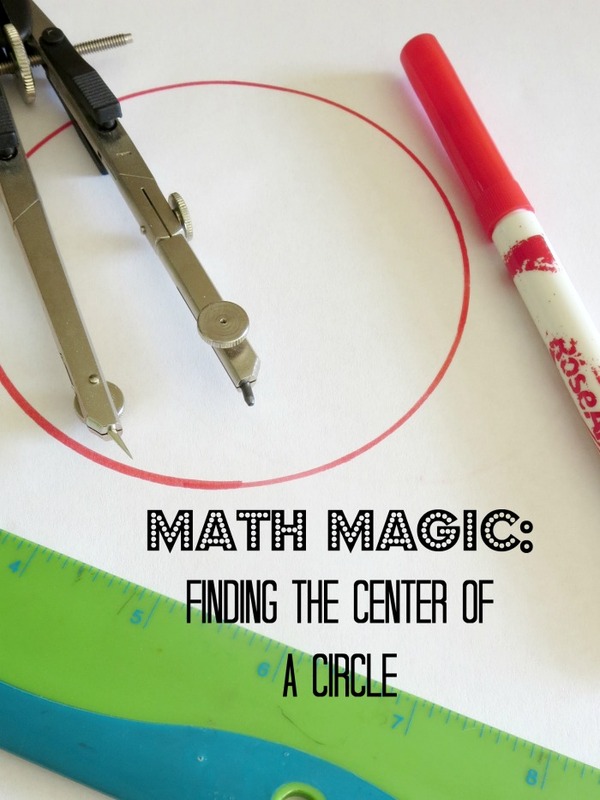 Let's think on it using a fun and well-known "magic trick" - finding the center of a circle using a compass and a ruler. What Is This STEM Thing Anyway? a) Despite the hype, no teacher comes to school and tells students, "Here, let me teach you some STEM today"
b) Good STEM implementation or project includes hands-on work, inquiry, independent thinking and integration of different disciplines. Let's see how that applies to the activity of finding the center of a circle - which some people might define as "pure math" and "not really STEM". A "real" math compass. Please DO NOT be tempted by $1 compass from Dollar Store - they bring nothing but frustration to students and parents alike. A circle template - we traced ours around a circle canister. 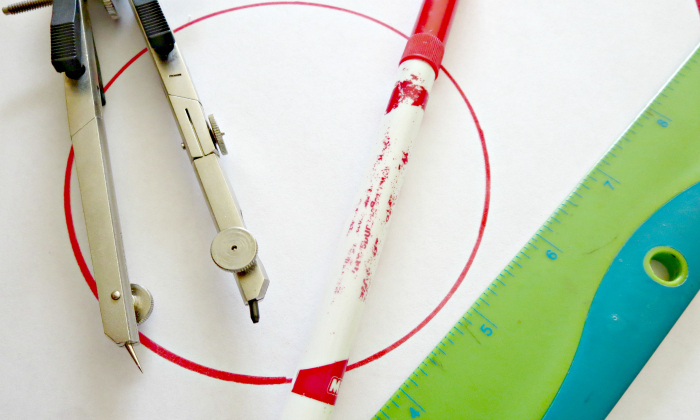 Of course, you could use a compass to draw your circle, but then you would see a center marked by a compass needle. I started by laying out supplies for Smarty and asking her how she would go about finding the center of a circle. She thought that the ruler is there to confuse her :) She boldly took the compass and tried to "guess" the center by putting a needle point of the compass in what she judged to be the center and trying to draw a circle. Actually, she was frighteningly good with her estimate - her circle was just a bit off from the original circle. Her second proposal was to use a ruler and try to find the longest distance across the circle which she knew would represent a diameter of the circle. Then she divided it into two to get a center. This is actually a very valid method, and I was happy that she came up with it on her own. This problem solving is really what we want to achieve through hands-on STEM projects - getting our children to consider the problem, apply their existing knowledge and/or think outside the box trying different solutions. 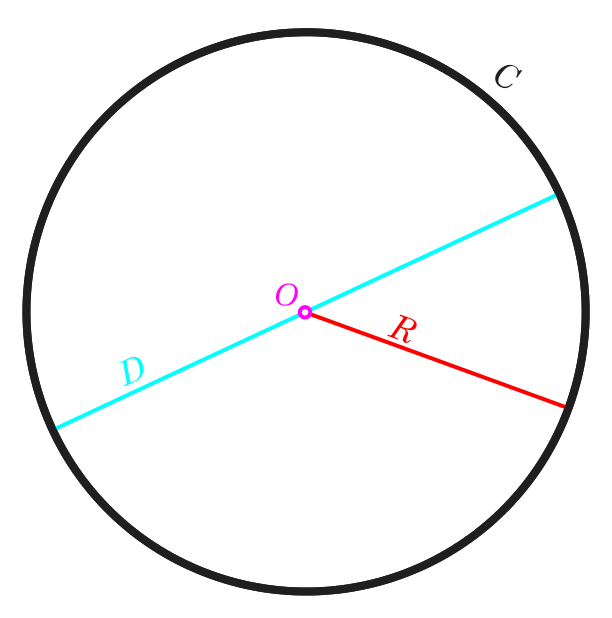 Circumference - distance around the circle - i.e. perimeter of the circle. Diameter -any straight line segment that passes through the center of the circle and whose endpoints lie on the circle. Chord - a straight line segment whose endpoints both lie on the circle. A diameter is the longest chord on a circle. Pick any 2 point on a circle and use a ruler to connect them with a straight line. You have your first chord. Construct a line that will divide your chord into 2 equal part and will be perpendicular to a chord. To do that, select a distance between compass' legs to be somewhat larger than half the length of your chord. Put the needle leg of your compass into one end of your chord and draw a semicircle or a long curve in the direction of your second point. 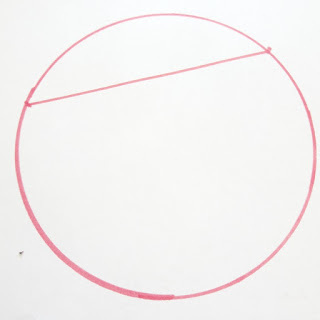 Then, without changing the distance between legs of your compass, move the needle leg to the opposite end of the chord and draw another semicircle towards the first one. You will see them intersecting in two points on two different sides of your chord. Now connect these two points with a straight line using a ruler. This second chord that you just created happens to be a diameter of your circle, but we will keep things "magical" and will not burden youngsters with geometry proofs as to why it is so. 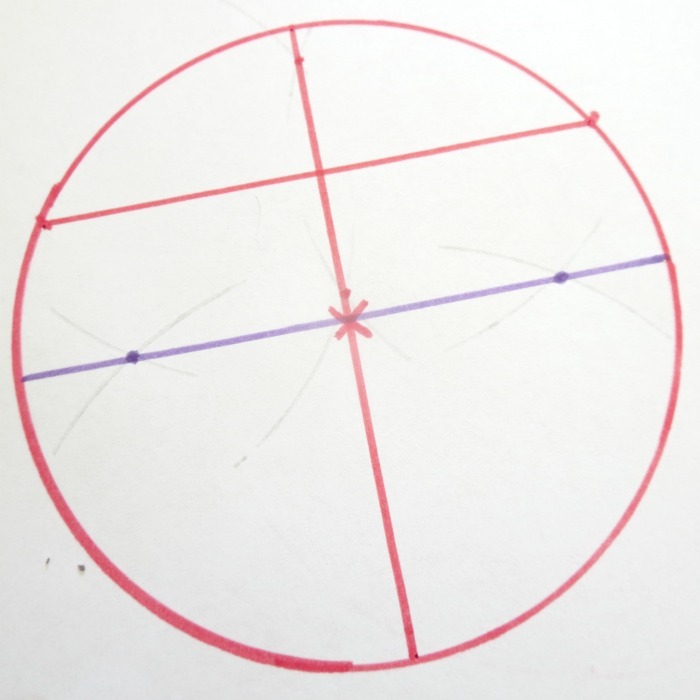 Now do the same compass trick to bisect your diameter and construct a new line perpendicular to it. You will probably need to move your compass' legs further apart to construct intersecting curves. Connect two points you found with another line segment (it will also be a diameter), and you have a center of your circle. 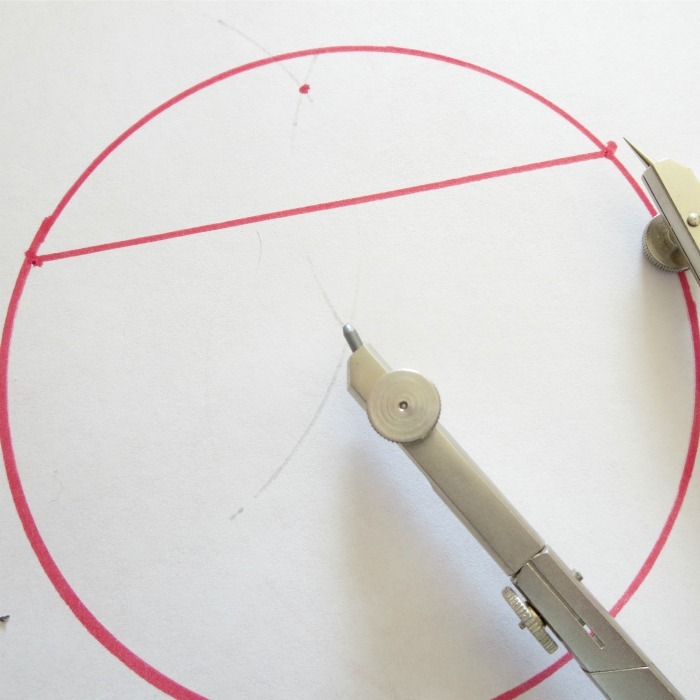 You can test it by putting a needle point of your compass in the center and making the distance between the compass legs to equal the distance between a center and one of the end points on the perimeter of your circle. 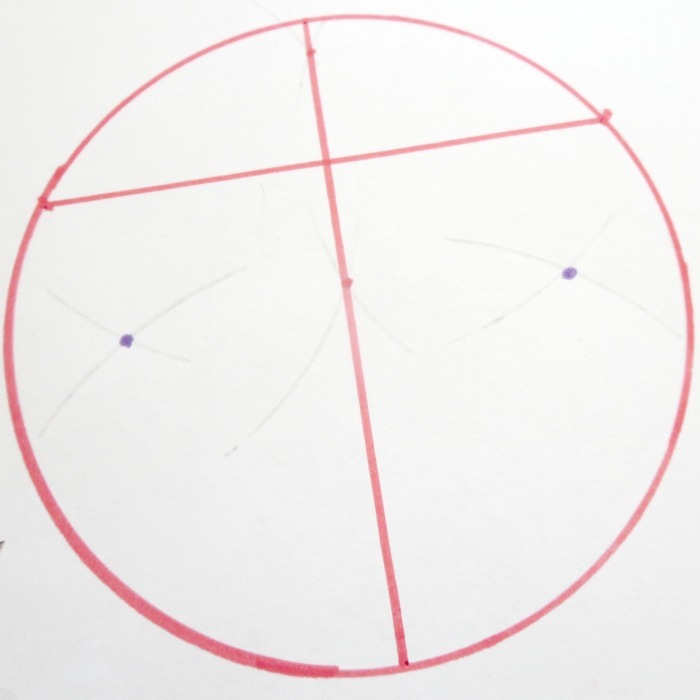 If you were precise with your drawings, your should be able to trace the same circle with your compass. If your students are just now learning about shapes, they will still appreciate trying to draw a perfect circle with a compass. Of course, you should supervise them, since the needle point can be quite sharp. You can connect this geometry lesson to language arts by reading one (or more!) of the books about geometry. My daughter really enjoyed clever Sir Cumference series by Cindy Neuschwander. Celebrate science, math, technology, and engineering with Early Elementary Blogging Crew! I remember doing this as a kid! Definitely pulling our new compass out to do this on Pi Day. It is obviously too early in the morning/I haven't had enough tea for my mind to follow, because I know this is all perfectly understandable, but my mind kept thinking "No, no math right now!" My solution is to brew a pot of tea, and come back to read again later. Ok, re-reading now after having tea, and I have the feeling if I actually went through the movements, it would make sense to me much more. This is where my horrible geometry teacher from high school shows through, because I know I should already KNOW the math behind this, but all I remember from geometry in school is wanting to throw the book at my teacher, and hating proofs with a mind-numbing passion. That class took me from enjoying math to hating it in the course of a year.